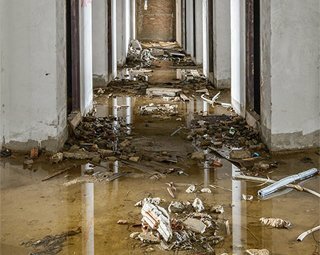 The sources of water damage are multiple and so you don’t always see the disaster coming. The same thing with fire. Whether the fire starts in your kitchen or your house is in flames due to a nearby wildfire, the disaster is not foreseen. Yes, you can take some steps to be prepared for some disasters but the question here is what to do next! And sometimes, home disasters have nothing to do with fire or floods and are purely domestic issues. Let’s examine them. Water damage is not a one-dimensional problem. 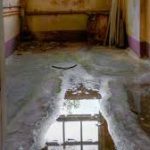 It is certainly a calamity irrespective of the source and when the first phase of water damage restoration is out of the way, you have to deal with secondary disasters. But let us take things from the beginning. The sources of water damage are multiple. 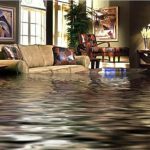 These are the main problems which invite water into your living room and kitchen, flood your basement, and start the disaster. And although water extraction is the first phase of mitigating the problem, it’s not enough. Water has a way of destroying things – from furniture to drywall not to mention carpets. And then it has a way of traveling in a sneaky and quiet way in the most unpredictable places. A broken pipe in the bathroom might affect the dining room walls. The main consideration here is the type of water. Let’s say your home in San Jose CA is flooded. The question is whether or not the water is contaminated. Clean water from a burst water supply line is uncontaminated but black water from sewage backups is trouble. What do you do? First of all, you call a company available for Bay Area Restorations. And you stay away from contaminated water. Another problem with water damage? The secondary water damage. 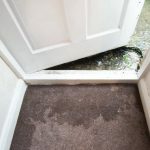 That’s not the wet carpet but what’s hiding underneath. Wet areas, warmth, and organic matter are friends with mold. But mold is your foe. And so water damage remediation is not over till mold is inspected and removed too. Condensation might not be a residential disaster but mold infestation is. Throw food, heat, and moisture in an area and mold will have a party. Which are the common warm and moisture areas around the house? Around the sinks and in the cabinets underneath, around the window casing, in the basement, and in the bathroom. 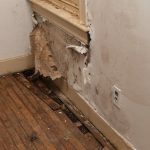 Where there is moisture, there is most likely mold too. And although no all mold species are extremely dangerous, some are. And so you don’t only need mold removal but to handle the cause of condensation for good too. Fires start easier than we expect. 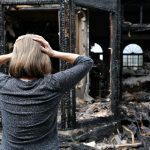 Whether they start due to a mishap in the kitchen or a wildfire, your home will not feel like home again. And when the firefighters will extinguish your domestic inferno, the disaster will still wait for you in the living room and bedroom. That will be in the form of water and smoke damage. And so you won’t only need fire but smoke damage restoration too. You need to be sure the soot is removed and the heavy odor is controlled so that it won’t invade your lungs. And when you think the problem is over, it’s not. The waters left behind by the firefighters will still need to be extracted and the area will still need to be dried and the traces of mold will still need to be removed. So it all turns back to the water damage story and its aftermath. The home disaster list might not be very long but it’s catastrophic. So, be prepared. Not just to face disasters but to deal with them once they happen because the sad reality is that they happen.